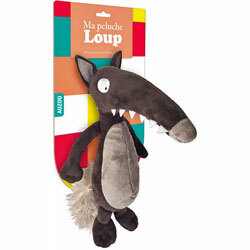 La vuelta al mundo de Lupo is a funny story in Spanish about a wolf who decides to go on an around-the-world trip. Follow him as he visits Paris, London, Rome, Venice, Egypt, Kenya, Madagascar, Nepal, China, Australia, Rio, Quebec and New York. On many of the pages, you can read the postcard that he has written to his friends back home in the forest. La vuelta al mundo de Lupo is written entirely in Spanish as it is aimed at native speakers. It would suit children aged 4+ if they are fluent in Spanish, but would be a good story for older learners too. This book is published in Spain and uses Castilian (European) Spanish.